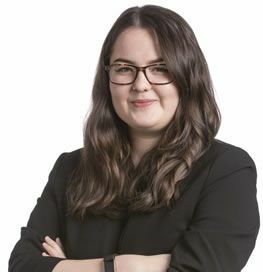 Charlotte joined Allan McDougall Solicitors’ Personal Injury team as a Trainee Solicitor in October 2018. She obtained her Honours Degree in Law from Edinburgh Napier University and thereafter her Legal Diploma from the University of Edinburgh. She assists on a variety of cases involving work-related accidents, road traffic accidents, public liability claims, industrial disease and medical negligence. Charlotte is from Stavanger, Norway and speaks Norwegian fluently.